So I'm a little behind the times. Yes indeed, there are a few Christmas posts I haven't gotten around to yet. Sort of like the Christmas tree that's still gracing my living room. Yes, in February. Don't judge. Anyway, my parents spent some time in Canada a few months ago and became enamored with maple flavor. (They even brought me back some maple syrup and maple spread, which is the bees' knees if you weren't aware.) As soon as they got back into the States, my mom started talking about replicating some maple fudge they tasted on their trip. Lucky me, she shared. :-) And I'll tell you, this stuff is delicious. It didn't last long around our house and I'm looking forward to trying it again soon. Once it reaches the desired temperature, add vanilla and maple extracts and beat with a mixer. (I use my hand held mixer.) Beat until the fudge loses its shine and lightens in color and becomes much thicker. (About 10 minutes) Once thickened, work quickly to stir in pecans and pour into prepared pan. Avoid scraping the sides of the pot to avoid grainly fudge. After it has set, remove the fudge from the pan by lifting out the aluminum foil; invert and cut into 1-inch squares. * After it reaches 238 degrees, you can transfer the mixture into a metal bowl of a stand mixer, and let cool to 110 degrees. Continue as above. Avoid overmixing. I can watch it better using a handmixer. **Make candy only on a clear, low humidity day or it will not set up. I had to laugh at your post because I'm way behind in posting too, and just put up a post from during baseball playoffs! 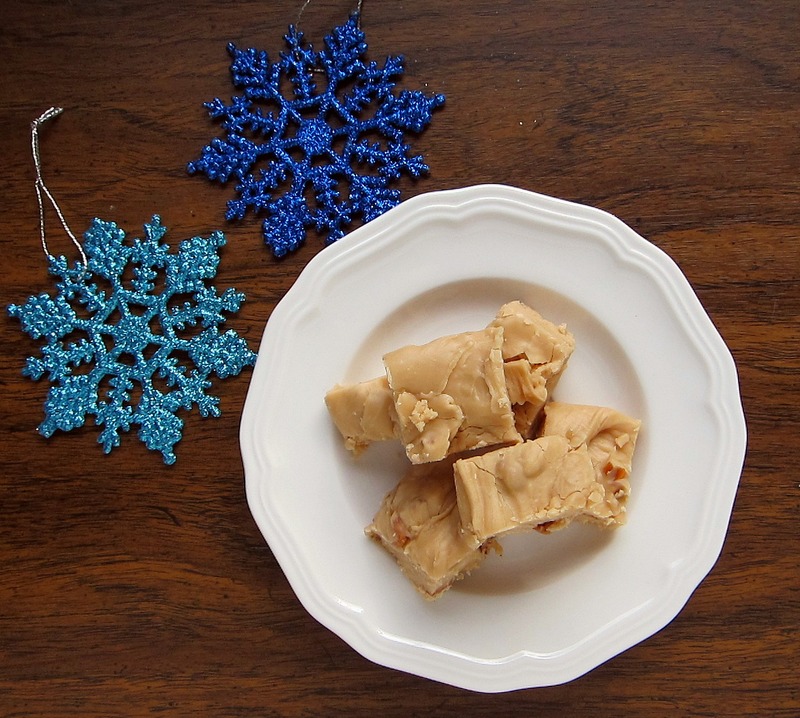 I haven't gotten my Christmas fudge posts up yet either!